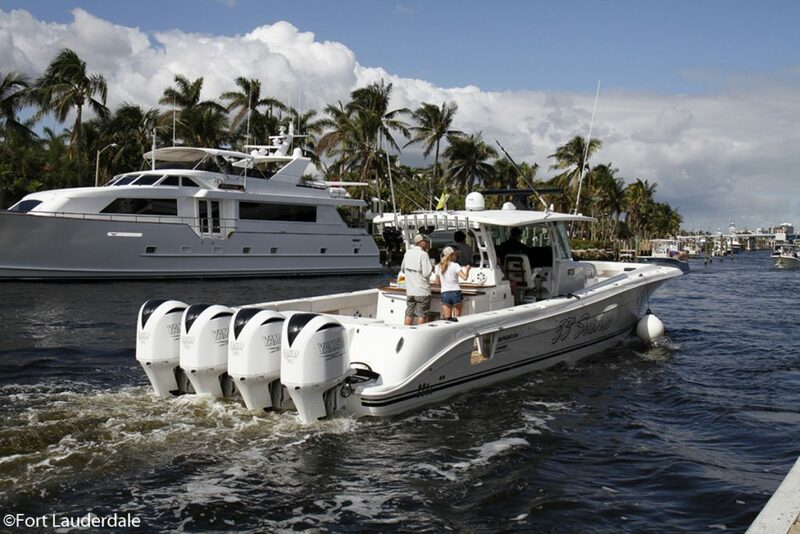 The Fort Lauderdale International Boat Show (FLIBS) is a fun-filled experience of everything marine, with free fishing seminars, water toy demonstrations and lots of other family friendly activities, in addition to a huge display of 1,200 boats of all kind. Recognized as the largest in-water boat show in the world, FLIBS spans more than 3 million square-feet of exhibit space across seven waterfront locations that are connected by an intricate network of water and ground transportation services. The five-day show attracts approximately 110,000 attendeeand 1,200 exhibitors representing 52 countries with more than 1,500 boats on display each November. 1. Hop a ride to the show aboard Water Taxi transportation. The show’s seven locations are connected by a convenient land and water transportation network offering several parking and transportation options to access the show’s seven locations: Bahia Mar Fort Lauderdale Beach Hotel & Yachting Center, Hall of Fame Marina, Las Olas Municipal Marina, Hilton Fort Lauderdale Marina, Sails Marina, Pier 66 Marina and the Greater Fort Lauderdale/Broward County Convention Center. 2. 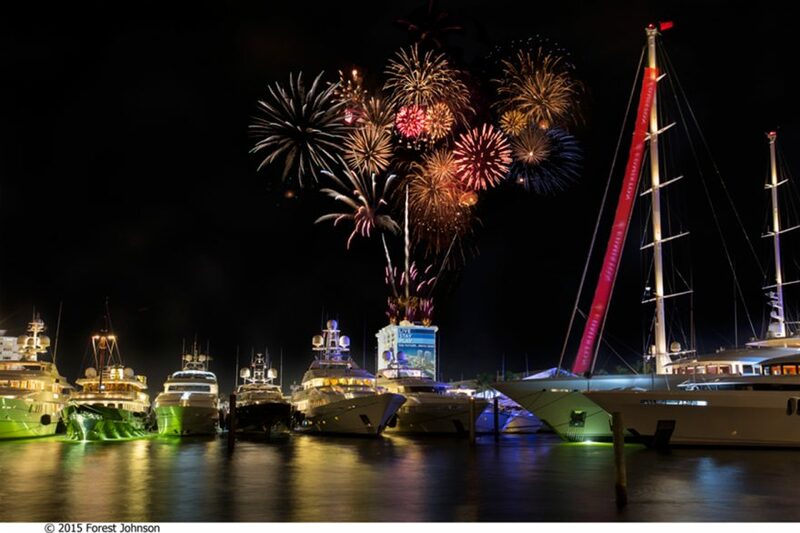 Check out the show’s amazing array of boats, marine products and accessories, from astonishing super-yachts, fishing boats, runabouts and boats for every budget, to fishing gear, marine art, jewelry and more, all valued at more than $4 billion. 3. Enjoy new culinary and mixology experiences from the new “Ports of Call” concessions: Cabo San Lucas, Portofino, British Virgin Islands, Greek Isles, and the French Riviera. Beverage experiences include specialty cocktails, premium wines and a full line of craft beers. 4. People-watch at the show’s world-famous floating cocktail lounges. Find a seat, grab a cold drink and cool off in the shade. Have a bite to eat and recharge while enjoying live music and even livelier crowds. 5. The Windward VIP Club Experience, located at the Hall of Fame Marina, offers the luxury of a premium open bar and gourmet food offerings. This air-conditioned sanctuary is the perfect platform to network, close business, or simply share the excitement of this international boating spectacular. Priced at $300 per person per day, VIP Club Experience packages include show entry, Windward VIP Club access and access to the water taxi. 6. At the Greater Fort Lauderdale/Broward County Convention Center location, catch the Hook The Future kids’ fishing clinics where kids get a free rod/reel combo and plenty of other prizes. In addition, the IGFA School of Sportfishing offers a line-up of seminars for adults covering all aspects of fishing. Next → Next post: Charles Clavem Champagne – The Key to Gold and Arts.